Following rumors that Apple is planning to debut a smart home platform at WWDC, a report on Thursday claims the unannounced program is not as ambitious as market watchers and pundits first thought. Citing sources with knowledge of Apple's supposed smart home initiative, Gigaom reports the new initiative is less of a platform than it is an extension of the "Made for iPhone" certification program. 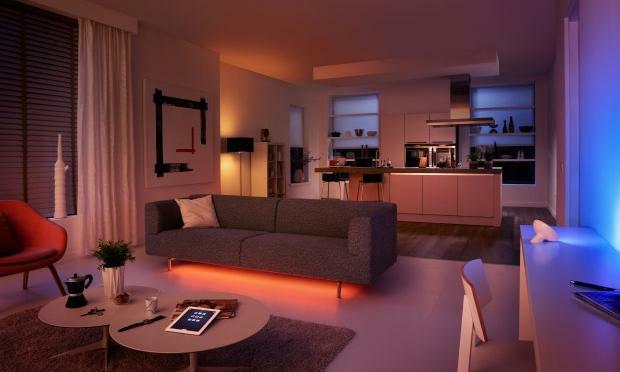 The people said Apple plans incorporate some standard home automation functions like easily connecting smart devices to a home's Wi-Fi network, as well as possible remote control over Bluetooth. Apple is also expected to provide hooks into Siri for voice control operations, though restricted to minor commands. According to these people, Apple's rumored solution is not expected to boast a true automation layer that is able to override individual device apps. The possibility of automating lights, appliances, HVAC systems and more was what made the rumor exciting. Without those capabilities, Apple's smart home program is basically an effort to simplify device setup and ensure hardware interoperability. While disappointing, end users will likely be able to purchase MFi certified devices that can connect to a central hotspot or even the iPhone itself, negating the need for separate hubs that serve different communications protocols, the people said. It is possible that Apple may one day introduce universal control to the as-yet-unannounced platform, but the system debuting at WWDC next week will not include that advanced functionality. AppleInsider offered a peek at what a full-fledged Apple smart home platform could look like, but it appears Gigaom's sources have poured cold water on the potential of seeing many of those enticing features roll out.